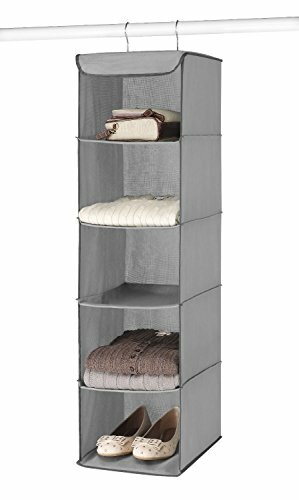 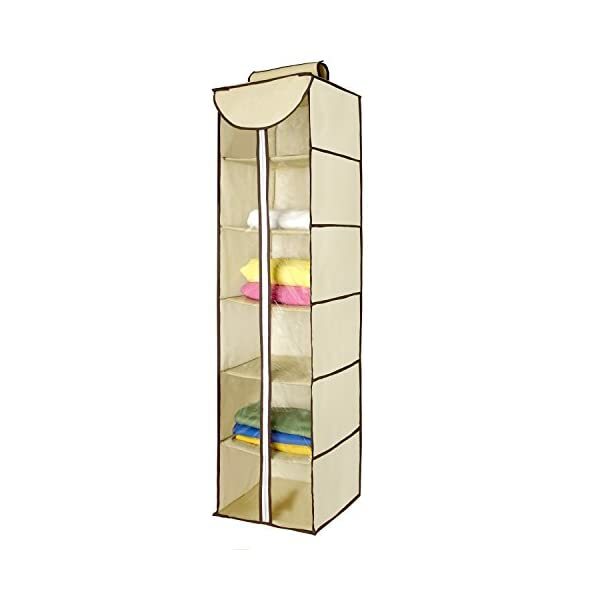 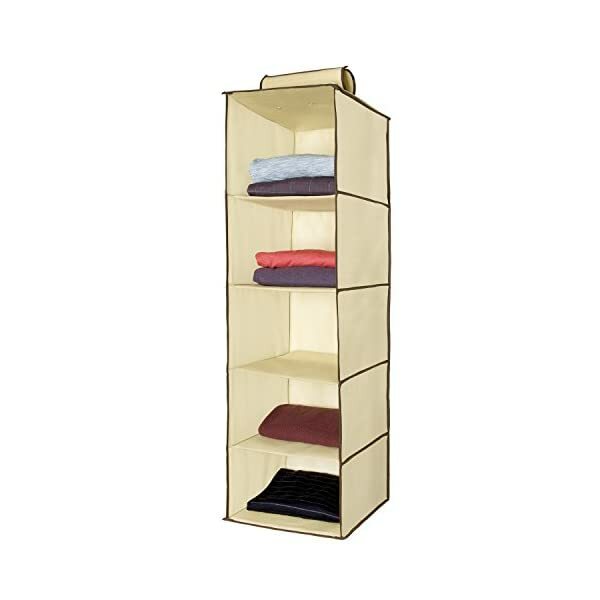 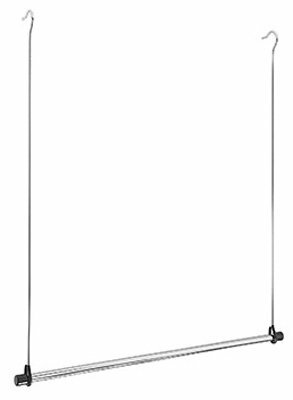 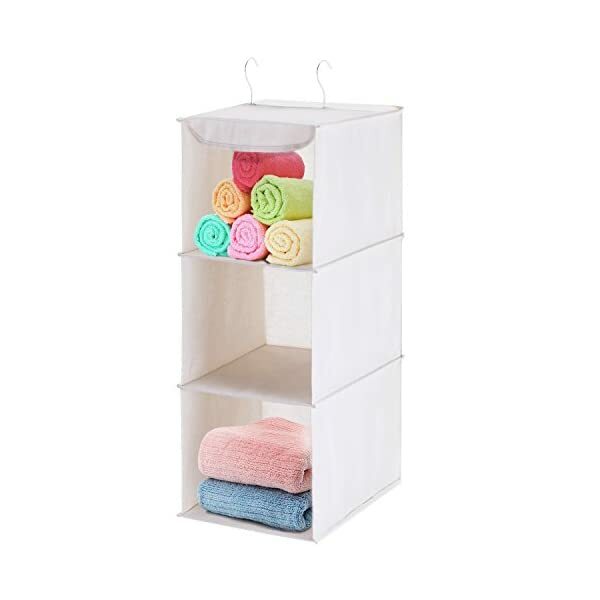 3 EASILY-ACCESS SHELVES WITH 2 HOOKS: Equipped with 3 shelving units measuring 10*15*24", this Hanging Accessory Shelf offers ample space for storing clothing and accessories like sweaters, towels, pajamas and hats, maximizing vertical space usage in your closet. 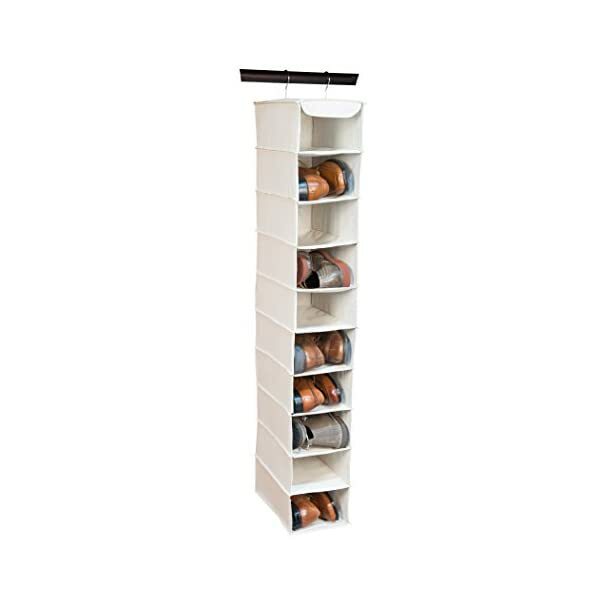 2 sturdy hooks on the top fit most closet rods. 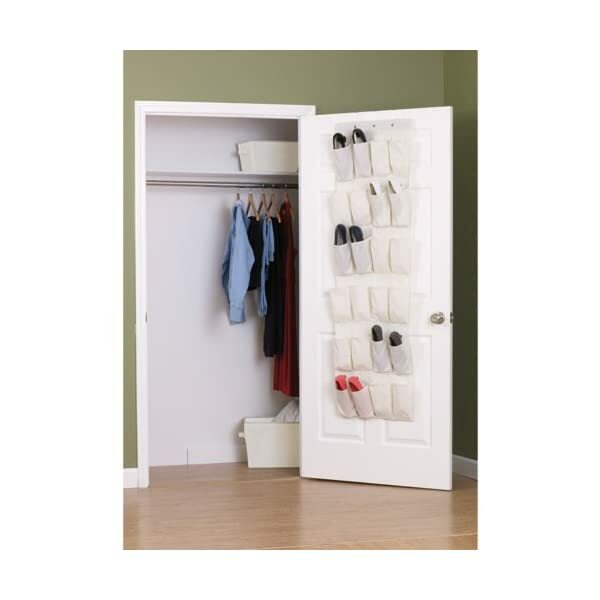 Hang it in your closet or other places to classify your garments. 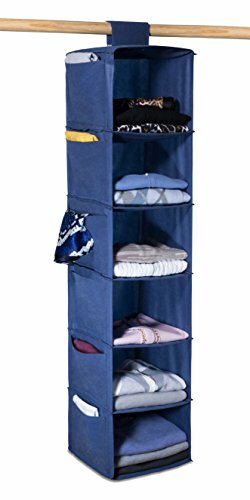 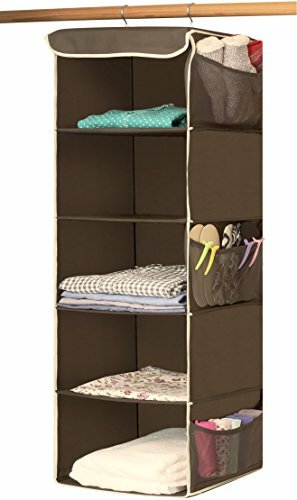 MAXIMUM UTILIZATION OF VERTICAL SPACE: MaidMAX Shelf Closet Organizer makes the best of vertical space to save your floor space. 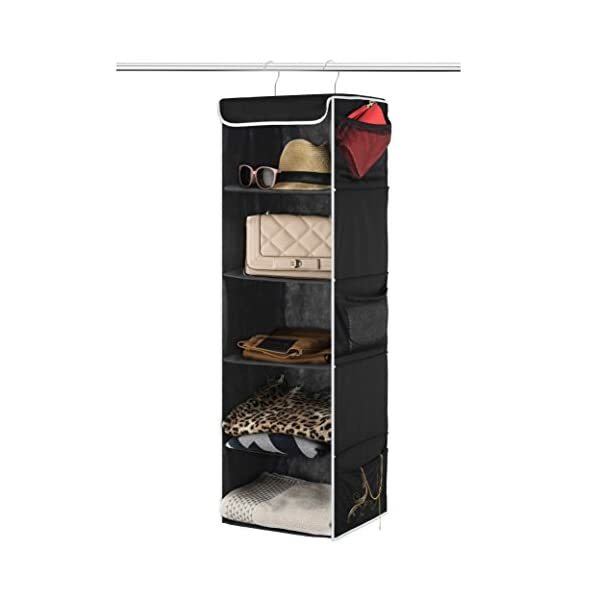 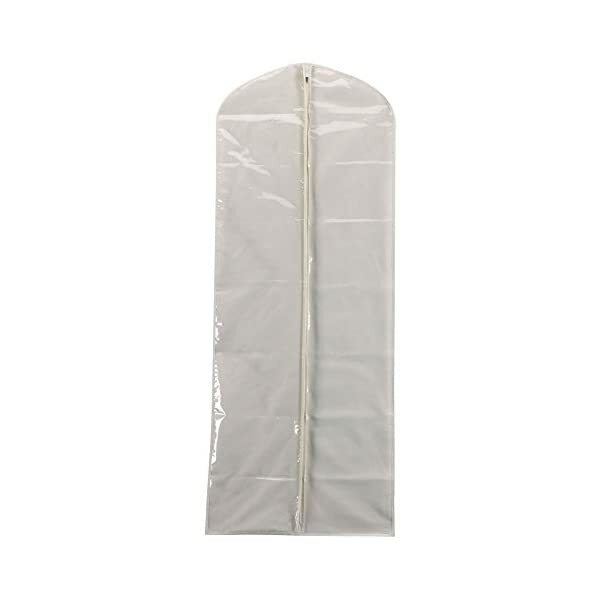 Hang it on closet rods to store clothes or small items, and collapse it to save space. 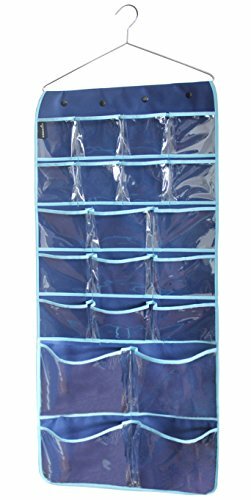 You could also fold it up when you need it for travel use. 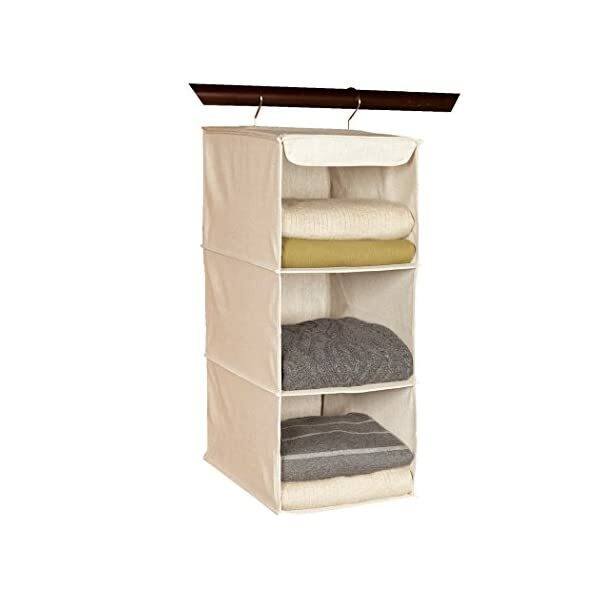 DURABLE & STURDY: This Hanging Wall Organizer is made from Canvas that is wear-resistant, protecting your clothes or other accessories from dirt, dust and moths. 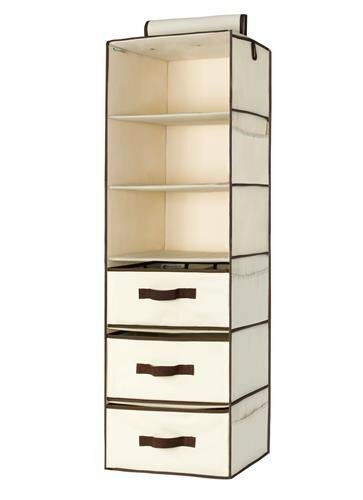 Reinforced cardboard for stability and durability.